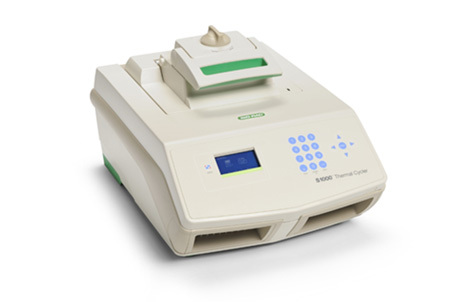 The S1000 thermal cycler combines powerful performance with streamlined features. The cycler can be used as a stand-alone instrument for PCR, or it can be connected to a C1000 Touch™ thermal cycler for additional throughput. Up to three S1000 cyclers can be connected to a C1000 Touch cycler, and the four cyclers can then be conveniently controlled as one high-throughput instrument.